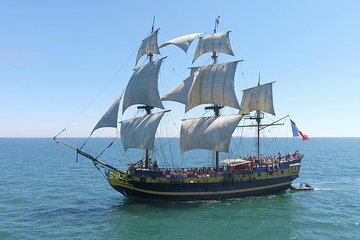 The Etoile du Roy is a museum ship based around a replica of a traditional 1745 frigate Corsaire, as well as hosting cocktail and dinner cruises. This admission ticket lets you visit at a time of your choice and skip the ticket queues. Once on-board, spend as long as you like exploring the historic vessel and admiring views of Saint-Malo’s port and ramparts.